Editor's note: For those who did not know Gorham Brigham, this page was not his idea and, in fact, he was insistent that he did not want anything more than a mere mention of his name and position. But for those of us who knew, respected and admired our good friend, leader and founder of this august organization, a proper tribute and dedication is entirely merited. Although Gorham Brigham could trace his Massachusetts forebears straight back to the landing of the Mayflower, he carved out his own place in the community. Mr. Brigham attended the Rivers School and graduated from Milton Academy. In 1933, Mr. Brigham was accepted to Harvard University and the ROTC. In 1937, Mr. Brigham graduated from Harvard University and was also commissioned a Second Lieutenant in the Field Artillery Reserves. Mr. Brigham then enrolled in the Harvard Business School and in 1939, with his Harvard MBA complete, Mr. Brigham began work with Price Waterhouse. In 1940, Mr. Brigham was called to active military duty as a First Lieutenant. He was then promoted to Captain, Major, Lieutenant Colonel and ultimately Colonel and served on the staff of General George C. Marshall until 1946. General Marshall personally decorated Mr. Brigham with the Legion of Merit. Mr. Brigham remained in the Army Reserve until 1967 when he retired with the rank of Colonel, Finance Corps. After the war, Mr. Brigham joined Saco-Lowell Shops where he advanced to Secretary-Treasurer and CFO over three years. When the company was sold in 1949, he moved on to a computer firm for company-founder, Bernard Gordon, at Epsco Engineering as a director and CFO. His banking career began in 1962 with Boston Safe Deposit and Trust Company, as a vice president in the area of business development. He went into commercial lending in 1983 with the Boston Five Cent Savings Bank, which was acquired by Citizens in 1993. 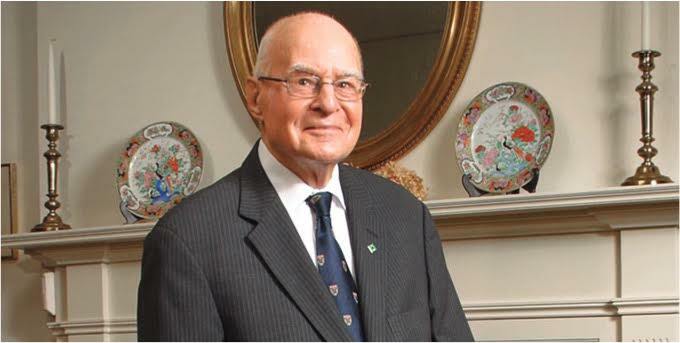 Upon his retirement in 2005 as Senior Vice President for Commercial Lending, Mr. Brigham was the oldest member of the Citizens Bank’s senior management team. Lawrence K. Fish, Chairman, President & CEO of Citizens Financial Group, Inc. said of his colleague, "Gorham is a role model to everyone at Citizens. His dedication to the community, support of his colleagues and commitment to business is an inspiration to us all." A self-acknowledged workaholic, Mr. Brigham put in 60 to 80 hours a week, usually arriving at the office around 4 a.m. In 1999, Mr. Brigham received the National Prime Time Award in a Washington D.C. ceremony for the honor of being Massachusetts' Outstanding Older Worker. In 2006, Mr. Brigham was among the first five individuals to be inducted into the inaugural class of the Financial Executives International’s “Hall of Fame” - the FEI is a professional organization for CFOs and senior finance executives where he was an extremely active member beginning in 1963. In 2009, Mr. Brigham was honored with the “Boston Business Journal’s” first-ever CFO of the Year recognition for “Lifetime Achievement”, which is now named in his honor. Mr. Brigham was a tireless community activist. He volunteered much of his time to numerous not-for-profit endeavors. He was active in Harvard alumni activities, business, charitable, and patriotic organizations. He considered his most outstanding accomplishment the co-founding of The Carroll School in Lincoln, Massachusetts, for children with dyslexia. Started in 1967 with six students, the school has grown to more than 400 boys and girls in grades one through twelve. Mr. Brigham last served as Trustee Emeritus of the school. A glimpse into Mr. Brigham’s world was one of many hand-written notes of thanks and praises, of a sharply dressed and a well-spoken man, of a man who included others in conversations and of a man who genuinely wanted others to connect in ways they might not have without his gentle persuasion. His world was of a man who is always on time and of a man who does what he says when he says it will be done. His world was a world of great character, of unquestionable ethics and of high morals. Gorham taught us all so much and he continues to inspire us each day. He is deeply missed. A tribute to Mr. Brigham's 100th birthday party.